Elon Musk admits that Tesla is falling behind on deliveries, the mid-size Ram will likely be a Wrangler, Cadillac wants to make special cars and Ferrari investors seem to be worried about nothing. All of this and more in The Morning Shift for Monday, Sept. 17, 2018. Tesla CEO Elon Musk continues to wear his customer service representative hat via his Twitter account, responding to a woman who claims the Tesla Model 3 she ordered is sitting in a railroad storage lot after multiple delivery delays. Musk has been aware of potential delivery issues since as far back as 2016, claiming the company would struggle to handle increased production and needed to invest in ways of streamlining the process. 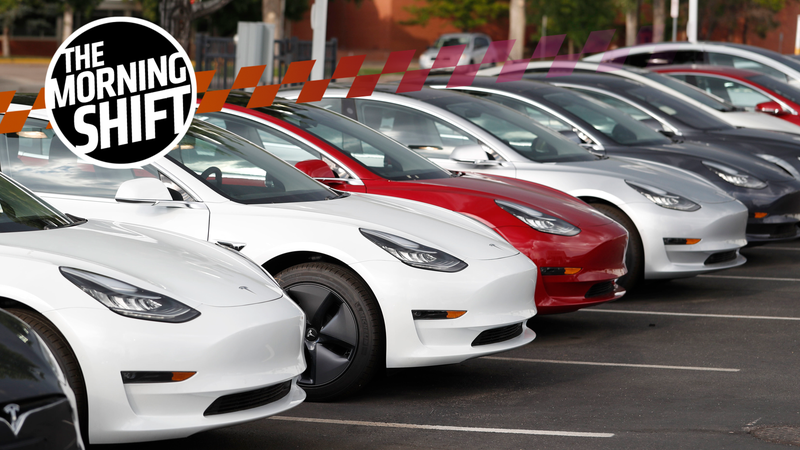 Since Tesla lacks a traditional spread of dealerships, it promises home delivery of its cars to those who live 160 miles or more from the nearest Tesla service center, and also offers pickup through its stores in the states that allow it. But the company is quickly reaching a point where it’s current footprint just isn’t going to be enough to handle increasing deliveries. As Bloomberg pointed out, a recent Tesla blog claimed the company expects to build and deliver double the amount of cars it did last quarter, but if this has been an issue since 2016, perhaps the problem isn’t as “tractable” as Musk suggests. Back in June, Ram confirmed it would produce a new mid-size pickup truck for the U.S. market by 2022, but stopped short of disclosing which platform from the Fiat-Chrysler umbrella it would be built on—either the upcoming Jeep Wrangler pickup or Fiat-based like its current European and South American offerings. Ram’s new midsize pickup will be a body-on-frame truck built in the same plant in Toledo, Ohio, as Jeep’s upcoming Wrangler-based pickup, supplier sources tell Automotive News. Production of both pickups is intended to fill the production numbers of the JK Wrangler, which was produced at the plant up until its replacement. Workers are expected to return next month following the completion of plant retooling that began back in April, according to Autonews. This isn’t surprising, but I’m curious how Ram will go about convincing people not to buy a Wrangler pickup. I mean, come on... it’s a dang Wrangler pickup. Trump’s tweet came as CNBC reported a senior administration official said the U.S. is ready to go with $200 billion in additional tariffs on Chinese goods and may announce them as soon as Monday. Beijing will be forced to retaliate if U.S. rolls out new tariffs against the country, Chinese Foreign Ministry spokesman Geng Shuang was cited by Huanqiu.com as saying. Some administration officials have been trying to slow down Trump’s headlong rush into a trade war with China, but the President doesn’t seem interested, having already undermined a previous deal made with the Chinese government, as well as a planned visit to Beijing by U.S. Treasury Secretary Steven Mnuchin. The Wall Street Journal reports China is getting fed up, and is considering declining future trade talks in retaliation. I’m sure everyone will move on from this and it definitely won’t escalate into something bad. It’s actually good that our current government continues to undermine itself. Or maybe it’s not. F﻿or the most part, Carlisle’s plan is to continue the de Nysschen blueprint, which included three sedans, three crossovers and the next-generation Escalade. The next product, Carlisle said, will debut at the Detroit auto show. It is expected to be a three-row crossover to slot between the popular XT5 midsize crossover and the flagship Escalade SUV. Hell yeah, more crossovers. And while we may mock Cadillac for just now getting around to what everyone else caught onto years ago with the crossover craze, increased sales and profits could open the doors to something “special,” according to Carlisle. A sporty, future-forward electrified sports car from Cadillac would be special indeed. [Louis] Camilleri was appointed Ferrari CEO in July, succeeding auto industry grandee Marchionne, who died after suffering complications following surgery. The sudden change jolted investors who had expected Marchionne to remain as CEO and chairman until 2021, having more than doubled Ferrari’s value since taking it public in 2015 and pledged to double core earnings (EBITDA) to 2 billion euros ($2.3 billion) by 2022. Camilleri is expected to follow up with Marchionne’s plan of introducing the brand’s first SUV, hybridization of its lineup, and potentially a altogether new model at an event hosted this Tuesday. Otherwise Ferrari is doing great, according to Reuters, with profit margin above 30 percent and a waiting list of over a year. Do I think they could do without an SUV? Yeah. Do I care? Not really. It will probably be pretty cool. On September 17, 1976, NASA unveiled the first space shuttle, the Enterprise, to the public. While the Enterprise never went into orbit, the shuttle program would go on to make 133 successful launches and landings until the program was shut down for good, making a final flight on July 21, 2011. Neutral: Can Crossovers Save Cadillac? Can a Special Electrified Sports Car? Are you buying this talk of Cadillac going back on the offensive? Do you think a new three-row crossover is the ticket to a future where we actually see an electrified sports car with a unique name branded as a Cadillac?